August 9, 2009  It's been 50 years since his Time Out, and its crossover hits "Take Five" and "Blue Rondo a la Turk," first appeared in record shops. 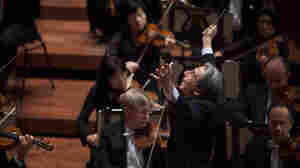 And at age 88, he says he still loves playing that material. 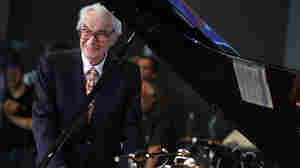 December 20, 2012  Brubeck swung the door open to a new world of free-flowing, where-is-this-going music. JazzSet remembers him with a set from the 2009 Newport Jazz Festival. January 30, 2014  Sixty years ago, a jazz pianist found himself in much the same bittersweet position as a rapper did on Sunday night. Surely proud of their hard work, they also sensed that their privilege as white musicians had something to do with their new success. 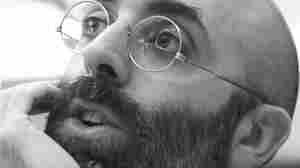 April 2, 2009  Millions have discovered the now-familiar landmarks of California's Yosemite Valley through the extraordinary black-and-white photographs of Ansel Adams. 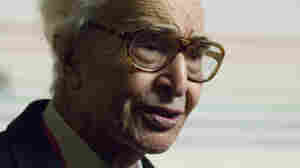 Now, jazz legend Dave Brubeck aims to bring musical emotion to the experience of viewing Adams' work with a new piece. September 26, 2008  When it comes to odd time signatures, classics like "Take Five" and the theme to Mission Impossible are excellent places to start. But a small bit of digging turns up many other fantastic, and often lesser known works. Here are a five more songs that successfully employ the 5/4 time signature with great diversity and show how playing in 5 can be used in a variety of approaches and styles. 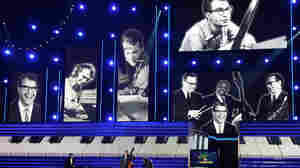 July 3, 2008  In March 2007, more than 30 lifelong jazz musicians were celebrated at the Kennedy Center for their contributions to a unique art form. JazzSet presents a recording of the concert companion to the awards ceremony, featuring Dave Brubeck, Nancy Wilson, and more. September 23, 2007  Bay Area disc jockey Jimmy Lyons got Brubeck to play piano for the Monterey City Council more than 50 years ago to convince it to put on a festival. 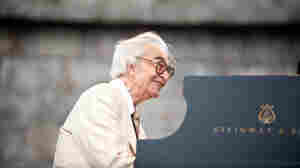 The Monterey Jazz Festival is in its 50th year, and Brubeck returns for his 14th appearance. Hear his complete concert. September 11, 2007  Capturing seven of America's greatest jazz musicians at the height of their powers in Europe, the DVD collection Jazz Icons offers a fresh perspective on the likes of Duke Ellington, John Coltrane, Sarah Vaughan, Charles Mingus and Dave Brubeck. May 31, 2001  Jazz critic Kevin Whitehead has a review of pianist Dave Brubeck's new CD, Impressions of Japan. 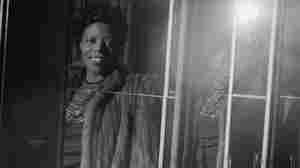 December 7, 2012  The jazz master died on Wednesday at age 91. In a 1999 interview with Fresh Air's Terry Gross he talked about his decades in the music industry and his first love: rodeo roping. December 6, 2012  The late pianist and composer never tired of playing his greatest hits. 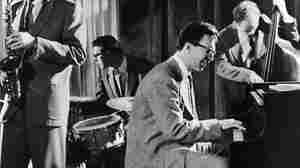 But both before and after his seminal 1959 album Time Out, Brubeck took his craft to college kids, to churches, to musicals, to social-justice concerns and to the imaginations of countless new jazz fans. 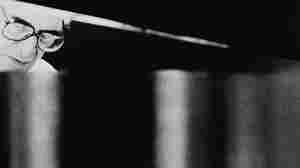 December 5, 2012  One of the most recognized and recognizable musicians of the postwar era — the piano player whose "Take Five" was a pop hit — died Wednesday, one day shy of 92. 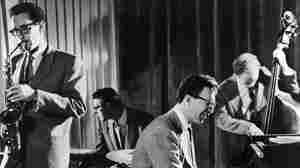 November 19, 2000  Recorded by the legendary Dave Brubeck Quartet, "Take Five" remains the biggest-selling jazz single of all time, and its familiar melody has introduced many listeners to jazz. August 1, 2001  President Bill Clinton said one artist inspired him to take up the saxophone: Dave Brubeck. Brubeck had a No. 1 hit with "Take Five," which is heard on Time Out. The album also illustrates the Brubeck Quartet's experimentation with complex poly-rhythms. September 20, 2007  Hear a preview of the 50th annual Monterey Jazz Festival, which includes Gerald Wilson's specially commissioned piece, Monterey Moods. 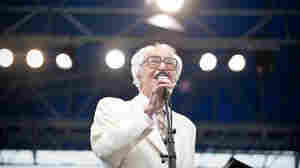 Wilson and many other jazz luminaries, including Dave Brubeck, celebrate the festival's half-century mark this weekend. December 24, 2008  Unlike the vast majority of jazz musicians, the pianist and composer was blessed with both talent and commercial success. His blend of experimental and lyrical approaches made him one of the biggest draws of his day — and ever since. 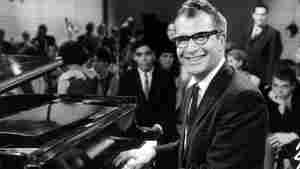 June 12, 2009  In 1959, jazz pianist Dave Brubeck topped the pop charts and shook up the notion of rhythm in jazz with an odd-metered song called "Take Five." On the occasion of its golden anniversary and a new reissue of Time Out, Brubeck explains why it was such a hit.